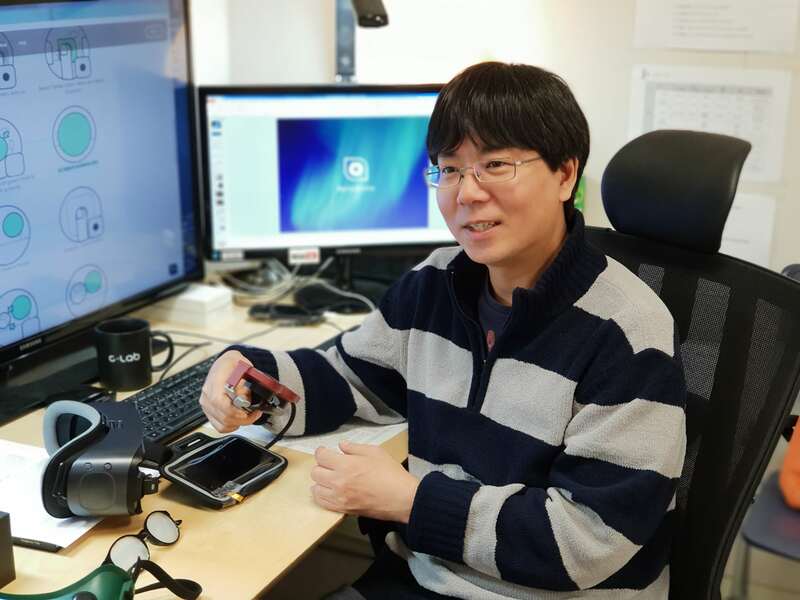 Junghoon Cho, engineer at Samsung Electronics, will be an industry keynote speaker of the conference on Wednesday 27 June. Relúmĭno is a visual aid application that works in conjunction with Samsung’s Gear VR to enhance the vision of visually impaired people. Relúmĭno processes images from videos projected through the rear camera of a smartphone and makes the images visually-impaired-friendly. More specifically, its major features include magnifying and minimizing image; highlighting the image outline; adjusting color contrast and brightness; reversing color; remapping images; and screen color filtering. The end effect is that Relúmĭno enables visually challenged people to see images clearer when they are reading print materials, TV, or viewing an object. Whereas some of the visual aids in the market with similar effects come in bulky machine sizes with limited usage, Relúmĭno can help the visually impaired attain the simplest but most critical chores of their everyday lives from verifying dishes on their table to regular recreations such as reading books and watching TV. Innovation is one of the core drivers for advancement in accessibility for people with disabilities. We hope this solution could be a foundation of drawing support for the visually impaired to give them hope to achieve a better daily future. Keynote Speaker Bio: Junghoon Cho, engineer at Samsung Electronics, initiated Relúmĭno project in May 2016. The original idea for it was triggered quite simply from a short newspaper article that stated 86% of the visually impaired across the world can actually detect light and 71% use smartphones. Selected as a C-Lab project, Relúmĭno was first designed to help the visually impaired people enjoy daily activities such as watching TV and reading books like people with no physical handicap. As such, he named its application ‘Relúmĭno’ meaning ‘Light up again’ in Latin as he wanted to help the visually impaired people feel the joy of daily activities that most people usually take for granted. Relúmĭno drew much attention at 2017 Mobile World Congress and 2018 Consumer Electronics Show, receiving positive feedback for showcasing a technology developed to help the physically challenged people rather than pursuing profits with conventional VR devices. Currently, Relúmĭno team is developing glasses-like devices so that the visually impaired people can use the visual aids in their daily life without grabbing others’ attentions.